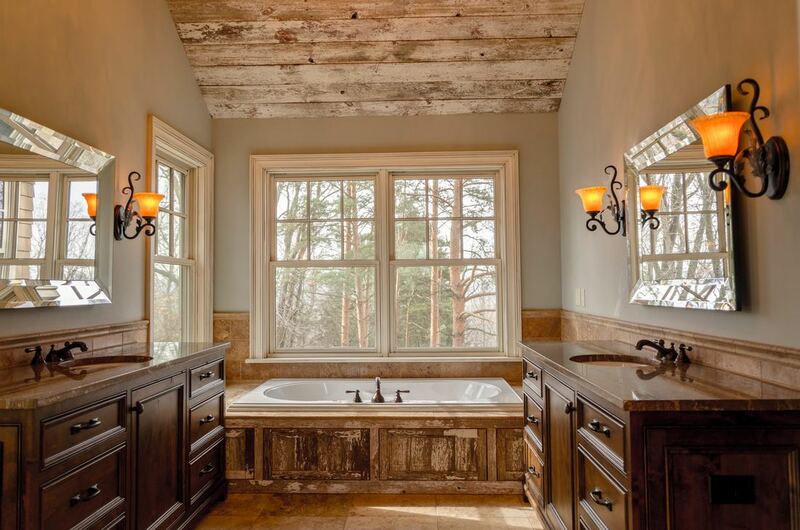 Some of our specialties are custom countertops and vanity tops. Whether you’re looking for kitchen countertops, bathroom countertops, or maybe you want a bar sink for your home out of the granite remnant leftovers, we can custom fabricate it for you. As our work is customized to every home project, kitchen countertops and vanity tops will have a professional appearance when complete. Your quartz and granite countertops will stand out when compared to others because of the quality of our work and reputation for being the top granite fabricators and quartz fabricators in Portland. The first step in the fabrication process is cutting. The slab is cut according to the previously created templates that lay out your kitchen and any under-mount or top-mount sink cut outs. As the templates are arranged on the granite in a way to match the vein flow and color of the natural stone with other accents in your kitchen, we can ensure you that the pieces will be eye-catching and garner great attention. We also make sure to match the seams, making them as unnoticeable as possible by utilizing smooth transitions in the natural beauty flow of the rock. The slab is then cut using a bridge saw that has a diamond blade with a thick supply of water applied to the pressure point of the cut, which gives the slab a nice, clean cut. After the pieces are cut out from the large slab based on the template layout, they will be worked on by hand, by an experienced shop fabricator who will proceed to make cutouts for your undermount sink, cooktop, and sink faucets. Once the holes are cut in the granite or quartz, then comes time to shape the edges. Our company offers a variety of edges for you to choose from. Once the edge design detail for your countertops has been chosen, an experienced shop fabricator will use a stone router to create the specific edge design that you have picked out. At this stage, the stone is ready to be polished. The face of the slab comes originally polished from the supplier, however we will use a polishing process to smooth down the outer edges and cutouts as well, giving your quartz or granite a polished look. The stone edges go through a multi-step polishing process using different grit levels of diamond polishing pads. It begins with a rough diamond pad, slowly increasing the grit composition of the pad to continue to polish the edge. Water is then applied to the edge while the natural or engineered stone continues to be polished. Although the polishing process varies slightly between natural and engineered stone, the main process outline remains the same. The time for this process will vary based on the number of square feet of the countertops which need to be polished, and will be taken into account with the whole polishing process. Our staff is highly trained to pay close attention to detail, making sure that the material for your granite or quartz countertops is cut with care and precision. With our highly trained staff, we are able to deliver any custom detailing that you would like, as all of the work is completed in our shop while we fabricate your project. Having most of the work done in the shop means you don’t have to worry about us being in your way while we fabricate your project. Get An Instant Free Estimate! ​Serving all of Portland Metro and Vancouver Areas for over 15 years. Clackamas County, Happy Valley, Multnomah County, West Linn, Tualatin, Lake Oswego, Washington County, Clark County, Vancouver, Battleground, and cities from Woodland to Salem.